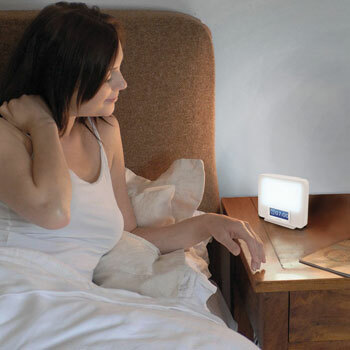 SAD light therapy lamps are a great tool for many people that struggle with the lack of light in winter. They provide a replication of sunshine where it is otherwise lacking. The best devices do so with enough intensity and simplicity to ensure that sufferers can enjoy a daily light therapy session. However, some SAD light devices are better than others. It helps to understand the functions and features of a device before rushing out to buy one. The lux is the most important consideration when looking at an SAD light box. This is because it what determines the strength of the light, and its impact on controlling SAD symptoms. Ideally, you want to look for a lamp that has a lux of 10,000. This is the optimal option for a positive session where users can really feel the effects. Some devices will go further and other a range of settings where this intensity can be controlled. The 10,000 lux could be the highest, with room to decrease. This is useful for all those that struggle with the concept at first. Some may find he light too bright to sit in front of for long periods, and the lower setting may be helpful. Users can always adjust this with time and practice. What type of light has the company used? The lux is not the only thing that we have to consider when looking at the light source. There is also the issue of the wavelength and spectrum of the light. Not all products contain the same type of light. There are some that use a purely white LED as they feel it is the most pleasing and beneficial option. Others will use lights that are further into the blue spectrum. There are pros and cons to this approach. First of all, there are some questions over the efficiency of these lights for the best session. Some believe that they go further than normal white lights. Then there are a few users that report headaches and other symptoms due to this wavelength. Anyone that is concerned over the suitability of blue light, such as those with preexisting neurological conditions, should play it safe and stick with the white LEDs. At the same time, it helps to choose a device with a broad surface and helpful diffuser. The dimensions of the light source determine the coverage of the light. The broader it is, the more effective it can be, especially for multiple users. The diffuser is a nice touch to soften the intensity of the light, without turning down the lux. It makes it a little easier to use with a better quality of light. This idea of the quality of light is important for the ease of use of the lamp. The next thing we have to remember in this SAD lamp buying guide that this is more than just a light source to light up a room for a short period of the day. Users need to sit in front of this light, at an appropriate distance, for an effective therapy session. Ask the following when looking at models. What is the recommended sitting time, and does this seem too long or too short for an efficient session? What is the recommended distance from the light source, and is this realistic when going through a morning routine? Are there any other factors to the lamp that determine its efficiency? Is there a manual in the box to explain the process and offer guidance? Is the lamp easy to use with simple buttons and controls? This ease of use continues with the idea of portability. Some devices are more portable than others. It is important to understand whether or not portability is a priority for you. 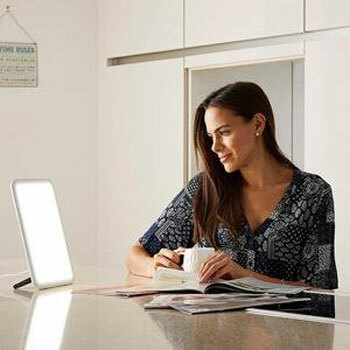 Would you prefer a more substantial device to use by at the dressing table or breakfast table each morning? Or, would you prefer something smaller and more manageable that you can take to the office? Some of the best models around offer a small, light body with folding features and a carry case – without compromising on the lux. This allows us to transport them to work with ease, or even on holiday. This should mean no missed sessions, even if a schedule gets a bit hectic. Check the specification for any notes on the durability of the materials and the presence of a fold-out stand. Plug in or battery operated? At the same time, you need to consider a more basic feature for the portability and ease of use of this machine. Are you going to choose a battery operated model or one with a cord? Battery operated models are preferable to many people that want to make sure that they can place this device anywhere they choose. A cord limits options, no matter how long it is. Still, corded devices mean consistent power and reliability for daily sessions. If you choose one with battery power, check the type of batteries used and the means of charging it back up. 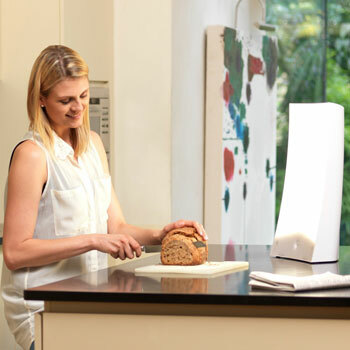 Finally, there is the factor of the look of these top SAD light therapy lamps for the winter blues. This is a lesser factor for this SAD lamp buying guide because it should be all about the light, not the rest of the device. However, there is no denying the fact that some of these devices can get pretty ugly. If you are going to have this out and proud all winter in the bedroom or study, maybe a nicer design would be better. Take your time to understand the purpose and features of the best SAD light devices before making a choice. As you can see from this guide, there is more to consider than you may have expected. This isn’t just a simple light source with the chance to improve SAD. There are lots of different models that use different approaches for the best result. Take the time to figure out what you want the light to do in terms of the settings, type of light source and portability. Compare the specifications to learn more about the controls, features and bonus components. Also, read plenty of user reviews about real life experiences. All of this research should lead to a great choice.